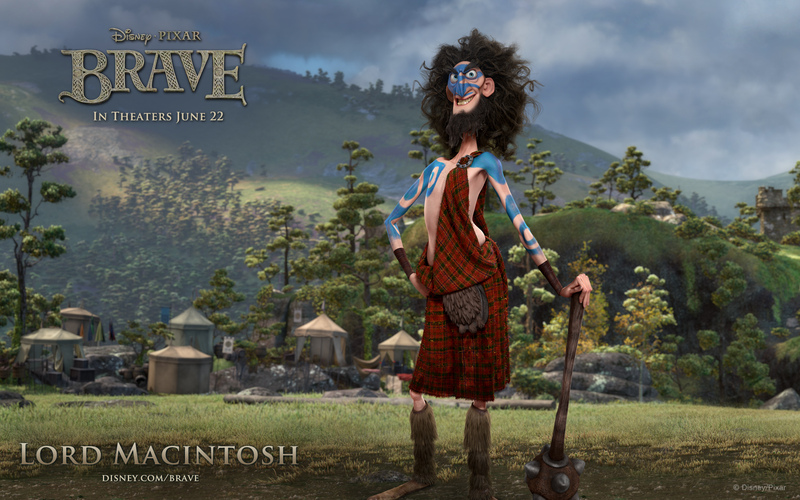 The official website for Brave was updated today with new images and downloads. Along with the stunning images which will likely be the wallpapers for many desktops and smartphones now, the site also gives us the first descriptions for the various characters in the film. The film’s plot and characters have been shrouded in secrecy, with the teaser and trailer focusing on mostly first-act details. Now, we can understand the characters just a little more. Check out descriptions and beautiful wallpapers for the accompanying characters after the jump! 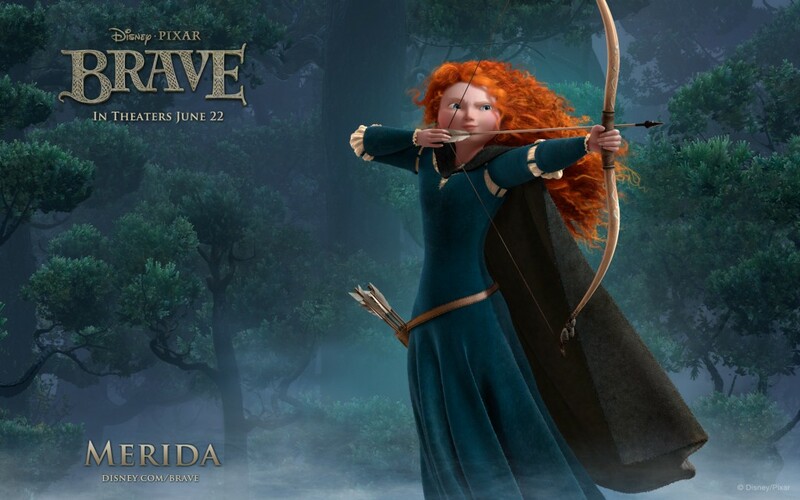 Passionate and fiery, Merida is a headstrong teenager of royal upbringing who is struggling to take control of her own destiny. She feels most at home in the outdoors honing her impressive athletic skills as an archer and swordfighter, and racing across the magnificent Highland countryside with her faithful horse, Angus. With a spirit as vibrant as her untamed hair, Merida also has a softness of heart, especially when it comes to her wee triplet brothers. 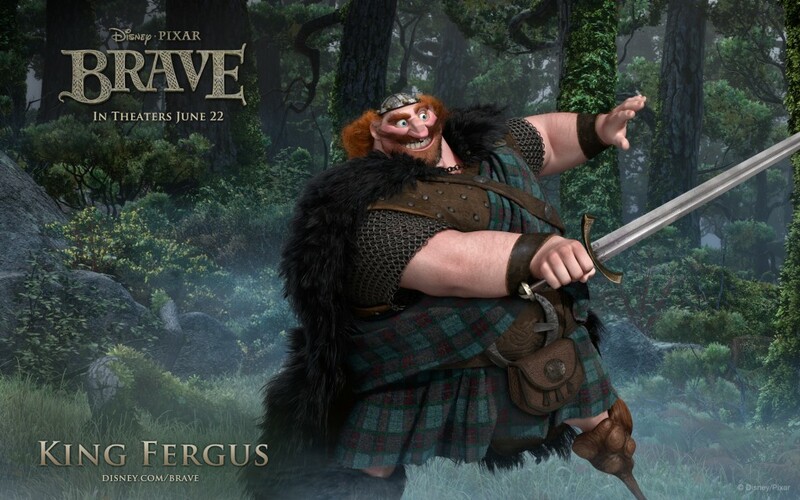 Protector of his kingdom and family, King Fergus is a heroic warrior with a majestic bear cape, broad sword and a knobby peg leg – the result of his much-regaled skirmish with the demon bear Mor’du. 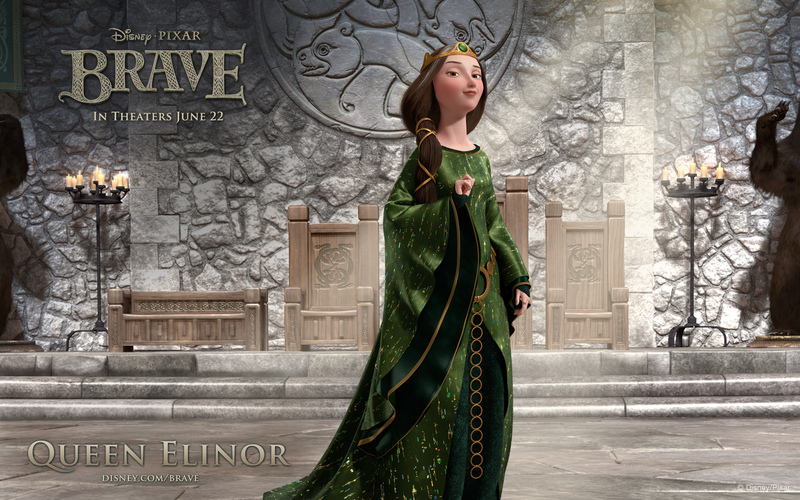 A vision of grave, wisdom and strength of character, Queen Elinor is fiercely dedicated to the well being of her family and kingdom. As the measure, diplomatic counterpoint to her more impulsive husband, King Fergus, Elinor carries the weight of the kingdom on her shoulders. 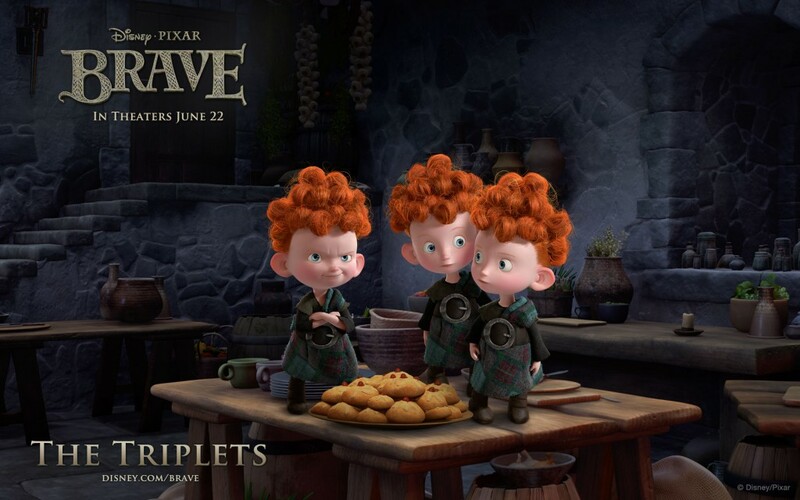 Identical triplets Harris, Hubert and Hamish are adorable, redheaded, and always ready to stir up a bit of mischief, especially if sweets are at stake. 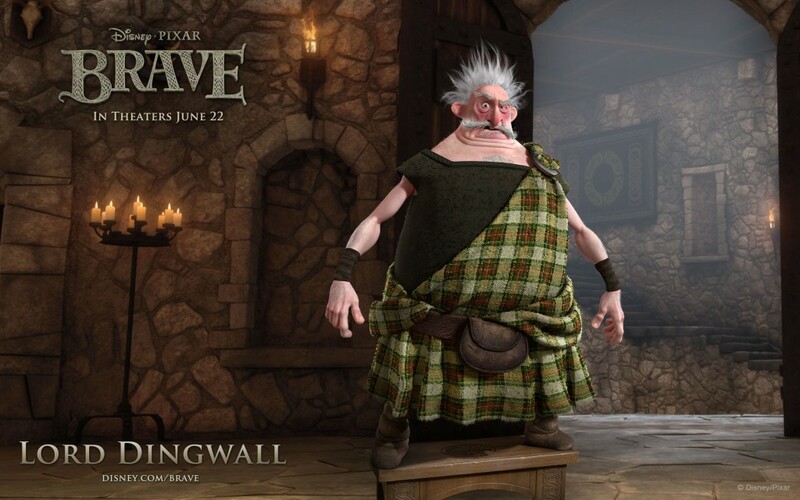 Grumpy and quick-tempered, the scrappy Lord Dingwall doesn’t let being height-challenged get in the way of solving his problems with fisticuffs. 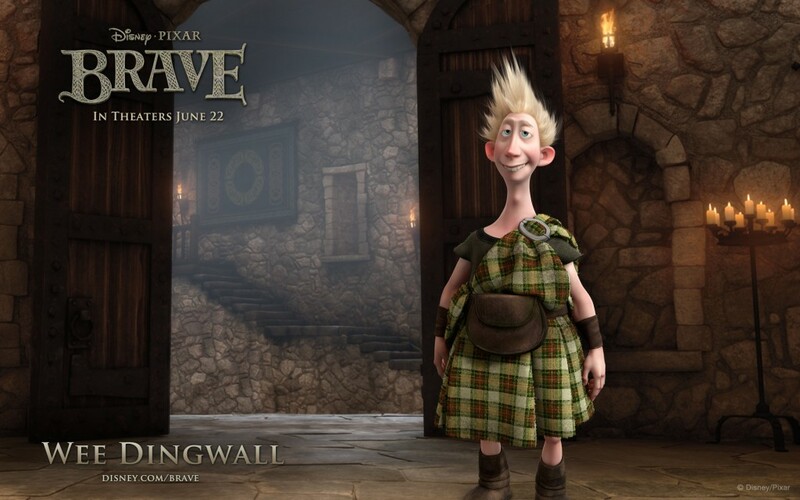 Gangly, guileless and often lost in his own head, Wee Dingwall is the awkward son of Lord Dingwall. 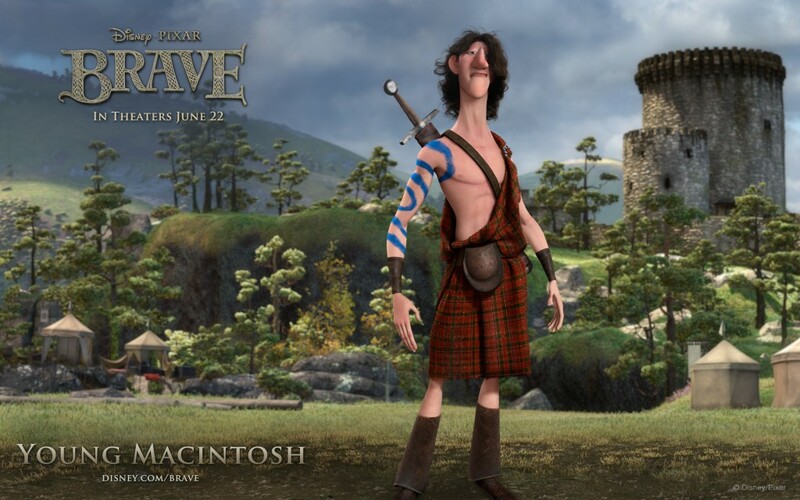 The wiry, indignant and off-kilter leader of his clan, Lord Macintosh is always a heartbeat away from hysterics. Young Macintosh knows he has it all – athletic physique, undeniable charm and long flowing locks that leave the lasses swooning in his wake. 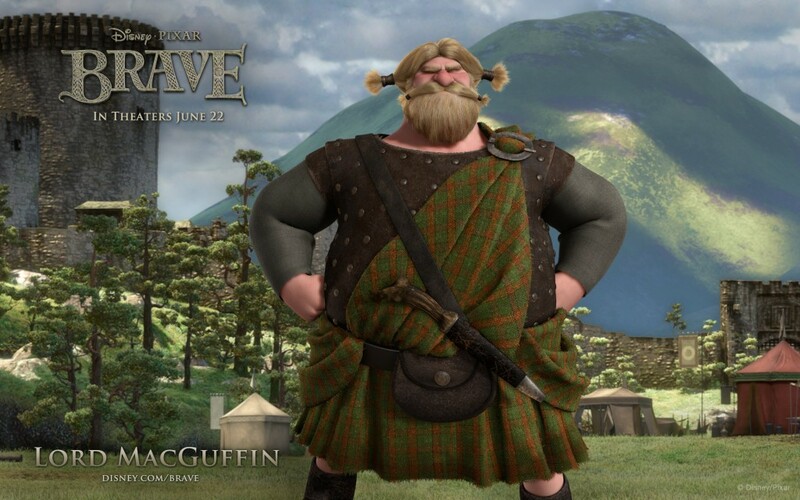 Strapping Lord MacGuffin is a man of few words, though his deep voice resounds across the land demanding respect. 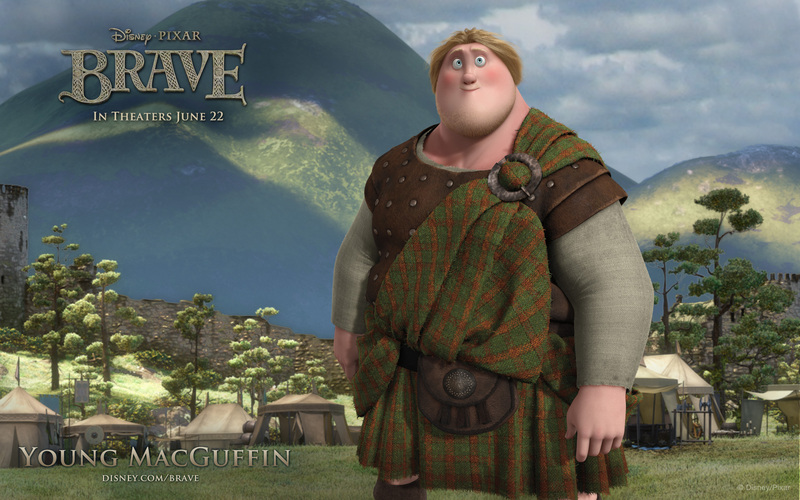 Speaking an uncommon Scottish dialect that is incomprehensible to most, Young MacGuffin is a shy lad of large proportions. 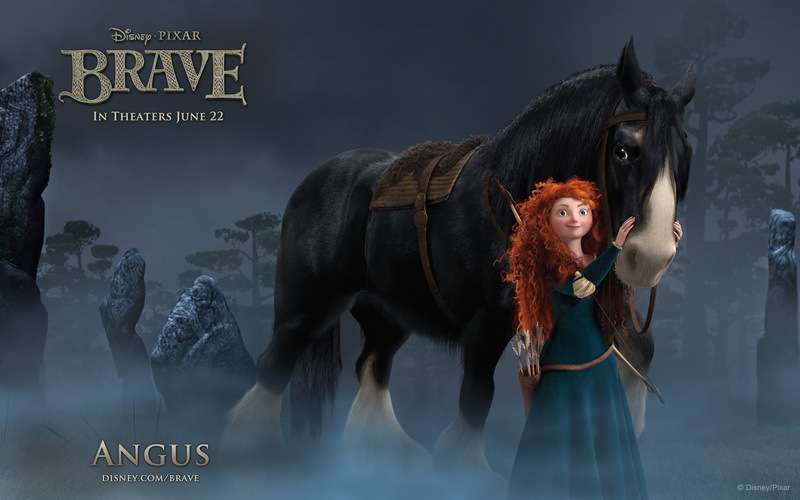 Black as night with ivory muzzle and fetlocks, Angus is Merida’s powerful Clydesdale and her most trusted confidant.